Page F30: Which is closer to Kaliningrad, Germany or Russia? 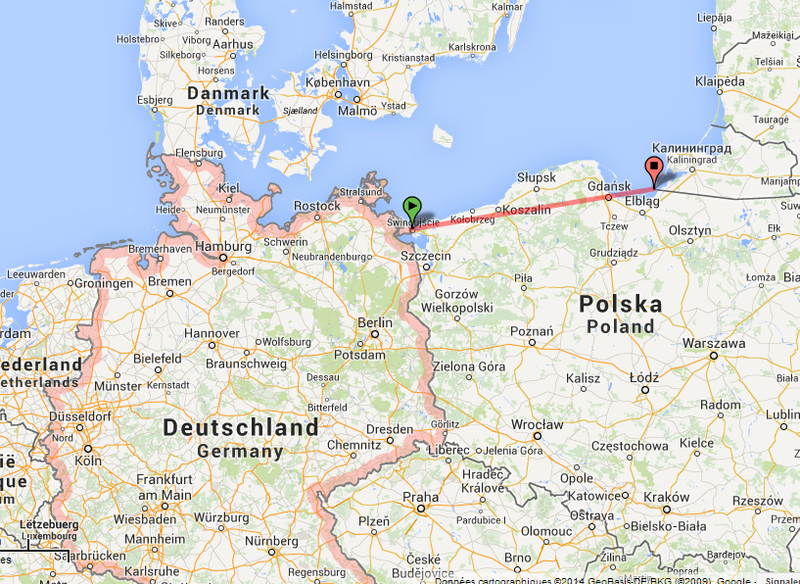 Which is closer to Kaliningrad, Germany or Russia? as well as separated from it. So being a Russian exclave isn't its first time being an exclave. But which country is it closer to? On a map it looks fairly close. What is the exact distance? There are more precise tools out there, but the distance calculator for Google Maps placed on two points that seem to be closest to each other will give us a good idea. The rules are that we are going as the crow flies, and sea borders don't count. 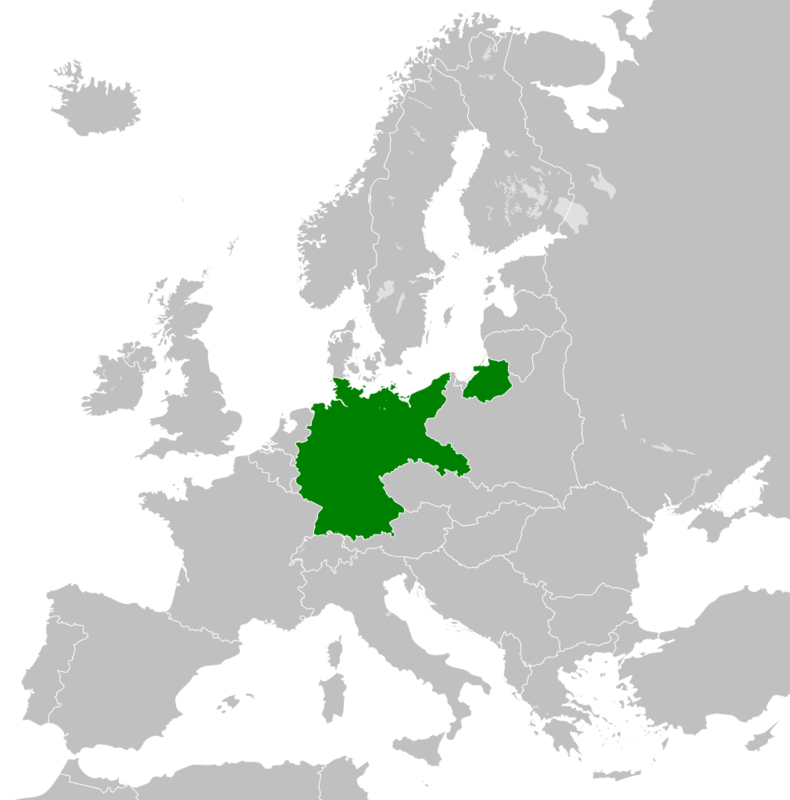 Let's start with Germany. We head to the northeast, get as close to the sea as possible along the Polish border, and extend the second point to that sandbar-like protrusion that I don't remember the name of. That works out to: 357.539 km. And Russia? 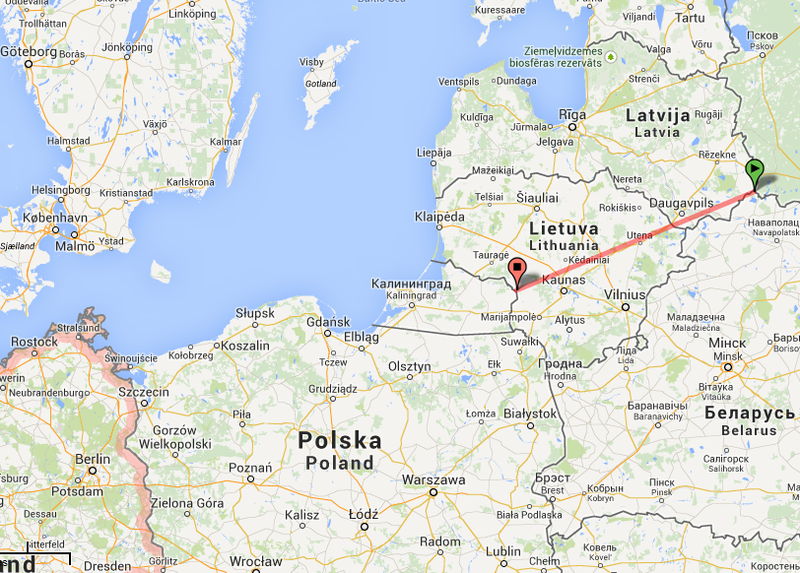 The closest point is down in that corner where Russia, Latvia and Belarus share a border. It's not exactly on that confluence of the three countries, but it's close. The closest point in Kaliningrad is a part that bumps out a bit on the northeast due to a small river marking the border, and happens to be the closest part. 362.122 km. Germany by a nose.